I saw a hill in the distance and that beckoned to me to come climb it and so I did and found an interesting short walk along the Stanley catch water path. 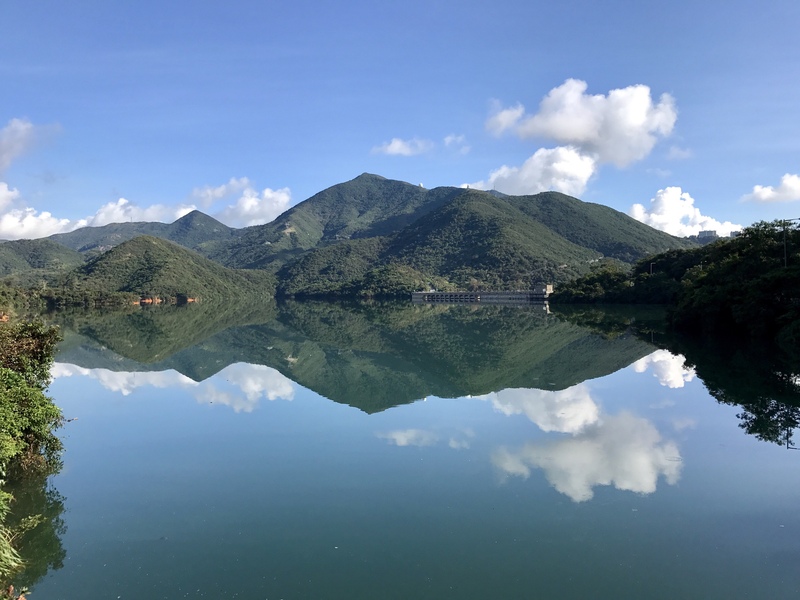 How to get there: Take the number 14 bus from Sai Wan Ho MTR exit A and alight at the Tai tam reservoir stop. As soon as you enter to the left there’s a flight of steps, that’s the trail. This is the only difficult part .., the steps. Post that it’s just a concrete straight walk. There are beautiful views of Stanley whilst you walk along this path. Got to see some beautiful flora and fauna. Was able to spot the Pacific view complex and the Manhattan heights from the trail and the lovely expanse so blue. Along the way there were some trees which blocked the path ( due to the super typhoon Mangkhut) so I treaded carefully as I didn’t want to end up in the water below. I continued along the path. I continued on my way and reached the end where I had to take the steps down to Stanley Gap Road. I continued walking down the road to the number 14 bus stop. However there is a bus stop on Stanley Gap Road itself with loads of buses going to admiralty and central and also back to Stanley. This is a short and sweet hike. Wouldn’t recommend taking a stroller. You can take kids but I’d suggest wait till the trees are cleared. This is a lovely trail if you want some solitude and time for yourself.